Wawanesa Insurance has been around the insurance world since 1896 in Canada, starting operations as a farmers’ mutual company in Wawanesa, Manitoba. The company branched out into the United States in 1974 and provides residents of California and Oregon with auto, renters, homeowners and condominium insurance as well as identity theft services. Wawanesa’s U.S. operations are headquartered in San Diego, California. Insurance rating organization A.M. Best gives an “A” Excellent rating in financial strength. The “A+” rating from the Better Business Bureau also ranks the company high in the area of customer service. In 2013, JD Power & Associates awarded Wawanesa Insurance its “Best in California” rating following analysis of its customer satisfaction survey results. Auto Insurance: Bodily injury and property damage liability beginning at the state limits as well as comprehensive and collision coverage. Optional auto coverage includes emergency roadside assistance and uninsured motorist coverage. Renters Insurance: The renter's policy offers replacement cost on content rather than actual cash value. Basic coverage includes personal property coverage, loss of use, personal liability and medical payments to others. You can increase your coverage by adding coverage for expensive personal property items, earthquake coverage (California) credit cards and more. Homeowners Insurance: A nice option available through the Wawanesa homeowners policy is replacement cost for your dwelling even if it exceeds your policy limits. The company will cover replacement costs up to 150 percent of your coverage limit. Basic protection includes dwelling and other structures, personal property, loss of use, personal liability and medical payments to others. Optional coverage can be added including increased limits, scheduled property, earthquake coverage, credit cards and more. Condominium Insurance: The condominium policy provides replacement cost on contents, special coverage for dwelling and an inflation guard which will increase your policy limits to match the current replacement cost of your home. Basic coverage includes dwelling, personal property, loss of use, personal liability and medical payments. Optional coverage is available for increased limits, scheduled property, earthquake coverage, credit card, loss assessment coverage and more. Identity Theft Services: Identity theft management services are available to policyholders including access to a personal advocate to resolve any identity theft activity. If you are a victim of identity theft, you will receive free credit and fraud monitoring for year and more. From the company website, you can get or retrieve a quote for auto, renters, homeowners or condominium insurance. You can also manage your policy billing by making in inquiry, paying online, requesting a change or proof of insurance. For claims, you can submit an auto or residential claims 24/7. Wawanesa Insurance ranks high in financial stability and customer service satisfaction. Policies are written with a 12-month term limit which is an option some may like since many companies only offer a 6-month policy. Overall, it is a good option for residents of California and Oregon to consider when looking for the best value on an insurance policy. 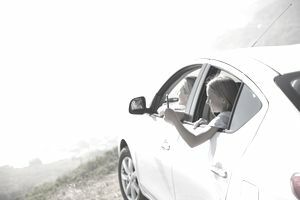 The best rates for auto insurance will go to those with good driving records, so if you have several tickets or accidents, you may be able to obtain a more affordable option with a company specializing in high-risk drivers. One thing that potential customers should realize is that it is likely that you will not receive an immediate quote for insurance coverage from the company website but may be emailed a quote the next day after your information has been reviewed. One common discount that seems to be lacking is the multi-policy discount. For more information about the insurance products offered from Wawanesa, You can visit the Wawanesa Insurance website. Quote, claims and customer service representatives are available Monday–Friday, 7:30 a.m. to 7:30 p.m. and on Saturdays from 8 am to 4:30 pm.